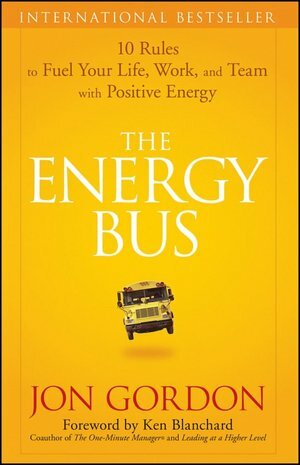 This past week, I finished reading The Energy Bus by Jon Gordon. I’ve been reading for 20-30 minutes before I go to bed. I read somewhere (Prevention magazine, maybe?) that reading before bed helps you sleep better and I’m a terrible sleeper. So the reading thing is really just killing two birds with one stone. So far, it has helped… but I was also very exhausted last week so I don’t know if I can declare the bedtime reading a success yet. I heard eliminating coffee helps too, but I’m not crazy enough ready to go down that road yet. I thought The Energy Bus was corny, but very effective in delivering a clear message. The author uses a fictional story to describe the Ten Rules for the Ride of Your Life. The main character is George, a guy who is having serious marriage troubles, is on the verge of losing his job, and (to top it all off!) his car just broke down for two weeks. 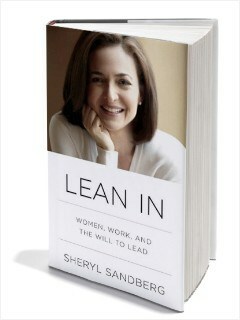 I liked the book and suggest it to anyone looking for a quick read and reminder that mindset can really shape our lives. Post a sign that says NO ENERGY VAMPIRES ALLOWED on your bus. The trash talkers. We all have days or periods where other people seriously bug us and need to vent. But, these are the people who spend 75% of their time talking about other people, or let specific people really get to them. The people who cut everyone else down. I think this comes in two forms: cutting people down and being unsupportive. The unsupportive people can’t be happy for their friends or family because they take other people’s triumphs personally (that is my nice way of saying they are probably jealous, even if it really has nothing to do with them). The victims of life. These are the people who feel like they’ve just been dealt so many more challenges than everyone else, and the rest of us are living in a land of rainbows and unicorns. I’m sure we could find a couple of these people by scrolling through our facebook News Feed. Sure, it’s OK to feel bad for yourself occasionally (because sometimes there is such a thing as bad luck) but we all have challenges. Some are very visible and some are very private. Don’t compare your challenges because you don’t know what people are going through now, have been through, or will go through at some point in their life. I’ve known more than a few people like this in my life, as I’m sure we all have. I find these people to be extremely draining. The book suggests telling people flat out that you won’t allow negativity on your bus. I think the idea of saying “on my bus” is corny, but the overall message is good — don’t let these people play a major role in your life. Their negativity will be draining on you over time. Sometimes it isn’t possible to cut out coworkers or family that are “Energy Vampires”. In this case, I strive not to contribute to the negativity (sometimes I’m successful and sometimes I’m not). If someone is constantly talking poorly about someone else or complaining, I give them a few minutes to vent and then try to change the subject or offer a positive comment. If that doesn’t work, I usually leave the conversation by physically leaving the room or distracting myself with something else. Obviously this book brought out some very strong opinions in me. It was a nice reminder to focus my energy on what produces good things in my life. Sometimes that can be very hard, but I’d say I am a positive person about 85% of the time. There will always be people in life who try to bring us down. The key is to recognize that and don’t let it drain your energy.